BULLIED BY A FAMILY MEMBER? Every family has its bullies. By definition a bully is someone who uses power to get their own way. My maternal Grandmother was a bully. An Aunt was a bully. My closest friend is bullied by her daughter-in-law. The friend fears not being able to see her grandchildren. Another friend is bullied by her youngest child, a grown man but one who has always used threats and temper tantrums to get his own way. A cousin is bullied by his ex-wife. She has taken him to court three times, demanding an increase in support. The judges have laughed her out of their courtroom. My cousin is generous, but fearful his exe will keep their daughter from him. She cancels mandated visits saying the daughter is sick. A neighbor’s mother-in law ruins all family events. She demands special treatment, calls family members by nasty nicknames; she says she is only teasing and the family members just can’t take a joke. She gossips about anyone not at the gathering. It is best to think of a bully as a spoiled brat who needs to be stood up to. That’s not easy when the brat is an adult and skilled at making other people feel shamed or blamed. Hopefully the following tips will help. Tip one: You owe it to your children and all bullied family members to confront the bully. Not so easy for those of us that bask in being nice guys and girls. Those of us who don’t bully are reluctant to face down a bully, but letting a bully rule the family is worse. Tip two: Determine the extent of the bully’s power. Legal custody and the ability to keep some family members away from beloved off-spring or grandchildren are difficult realities. Another difficult reality arises if the bully controls purse strings of one sort or another. Tip three: Decide to confront or to live with it. Making an informed choice matters. Tip four: Seek allies. Who in the family will join you in curbing the bully’s destructive behavior? The more allies the easier the confrontation will go. Tip five: Alone or with your allies, take the time to lay out rules you expect the bully to abide by, and what your response will be if those rules are not followed. Tip six: Decide how to let the bully know the rules and consequences. My thought: write a letter and in the letter suggest meeting on a neutral but public venue to test the waters of the bully’s willingness to abide by the rules you are imposing. Tip seven: Say what you mean, but don’t say it mean. Tip eight: Be prepared for resistance, and equally prepared to follow through on consequences. Tip ten: Remember that whatever the bully does, you are doing the right thing as long as you don’t bully back. Even if you decide to do nothing, you are doing the right thing. How is doing nothing right? It is controlling what you can control; it is acting and not reacting. Relationships pose some of life’s more difficult struggles. Being a parent is difficult enough without the presence of a bully. You might find some useful strategies in my free eBook How to Win a Gotcha War. Bullies, even child bullies, are Gotcha Warriors. The tactics described in the book also work against adult bullies. If you need help keeping your shields up, consider buying my eBook Parents Are People Too: An Emotional Fitness Training Program for Parents. 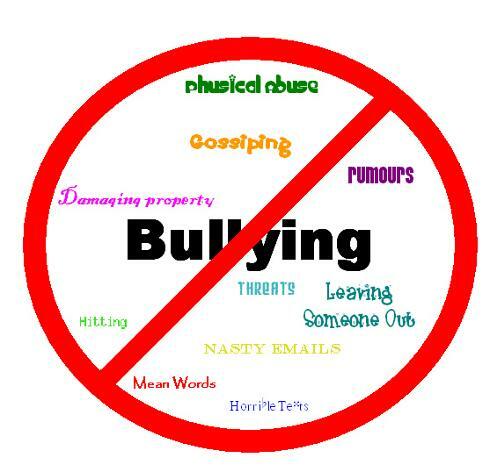 This entry was posted in News, Parenting Issues and tagged Adult bullies, adult bully, challenging children, Emotional fitness, Emotional Health, Family bullies, Katherine Gordy Levine, Parenting advice, parenting tips, Parents Are People Too, postaday. Bookmark the permalink.